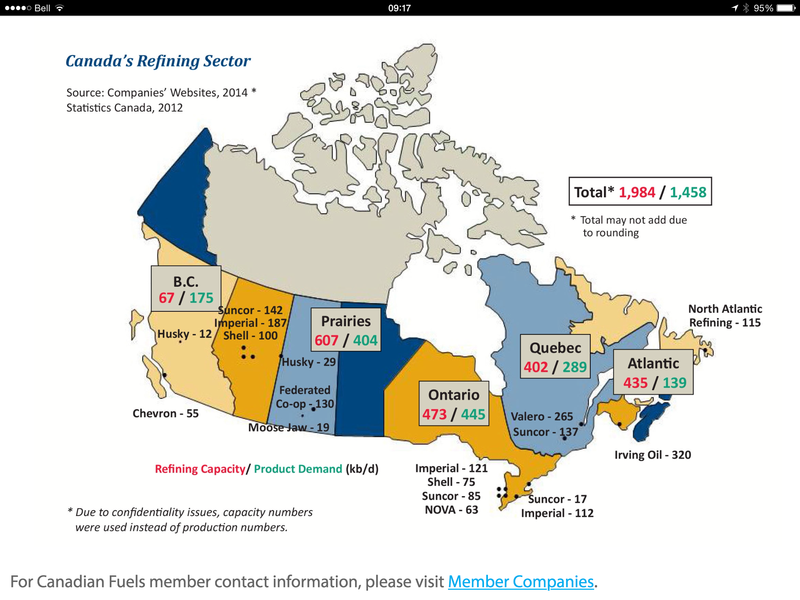 The Canadian refining sector picture as per the chart below does not explain the discrepancy between Canadian and Calgary fuel price increases, indeed it is difficult to pinpoint any market metric(s) in support of this obvious discrepancy. 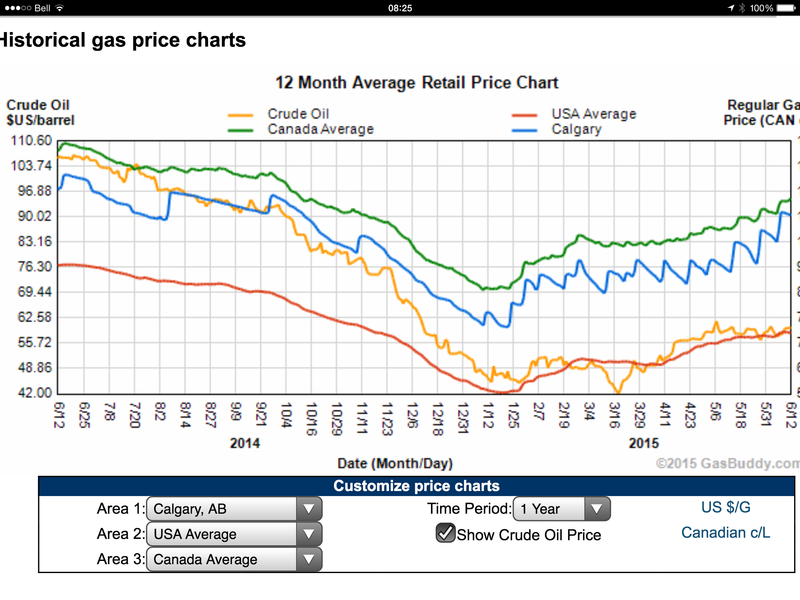 Not only have Calgary gasoline prices risen at almost twice the Canadian national average, the price rose +- 25% in the two weeks leading up to the recent Calgary Global Petroleum Show 07-09.06.02015. A confidence booster for a declining and beleaguered industry in desparate need of some good news, however superfulous or manufactured? Possibly. Non-market driven increases in localized gasoline pump prices support reimagination, reinvention and repositioning? Why are the current and inevitable near term disruptions to the energy industry being hidden under a self-indulgent feel good story at the expense of the travelling public? Are we the people that gullible? 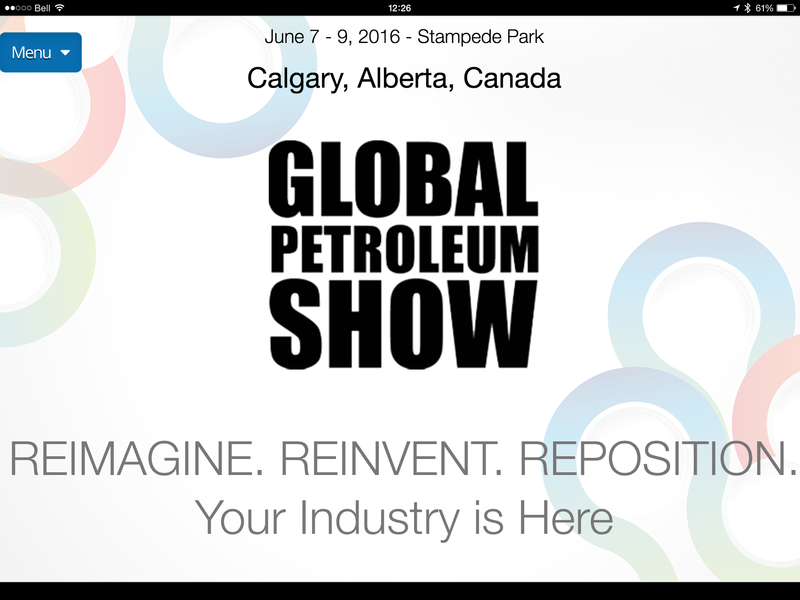 This entry was posted in Thoughts and tagged Alberta, Calgary, Canada, energy, energy industry, gas, gas industry, gasoline, gasoline prices, O&G, oil, oil industry, oil price, pump price, solar, solar industry. Bookmark the permalink.